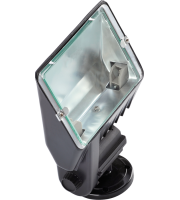 Sometimes people require brighter lighting compared to regular lamps and fixtures, so here at Direct Trade Supplies we help to enhance your experience by buying top quality halogen flood lights. Halogen lights and lamps can be used at a higher temperature than a standard gas lamp of similar power. In return they offer greater luminous efficacy and colour temperature. Halogen floodlights make the perfect lights for brightening dim lit areas both inside and outside the building. Although you have to be a little more careful using halogen lights inside the home because of their heat deployment, they do offer a brighter and more powerful beam than other contemporary lights. Direct Trade Supplies are proud to stock some of the best halogen lighting brands in the business. 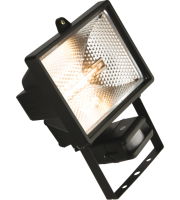 Brands include the likes of Aurora and Saxby Lighting, as well as highly advanced Steinel halogen flood light models. All of these products have been tested for their safety credentials as well as their performance levels. 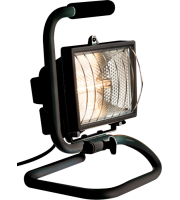 Meaning you will be guaranteed quality flood lights whatever your preference. 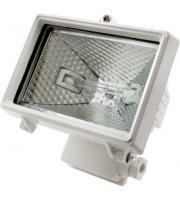 Halogen lights are particularly popular for external lighting options. This includes lighting for garages, gardens and general security. The extremely bright light beam makes easy work of lighting up an area in an instance. 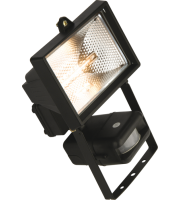 Many halogen floodlights also offer a tilting option helping you to find the perfect positioning for your light, and near enough every flood light in our halogen range comes complete with a mount for simple application to walls or ceilings. Direct Trade Supplies ensures you that all of our flood lights have been quality checked for the safety benefits of you. Dealing with such prestigious and well known brand names makes shopping with us secure and reliable. 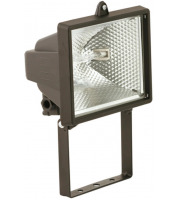 If you seeking a halogen flood light for a commercial situation then we have the goods for you, or perhaps it is for a garden at home, then we can provide you as well. Whatever your reason is, our company can help provide you with a beaming solution. You no longer have to rely on your dodgy lighting contraption in your garage or your unsafe fixture on the wall. We have the products to make your life a whole lot easier, as well as brighter.